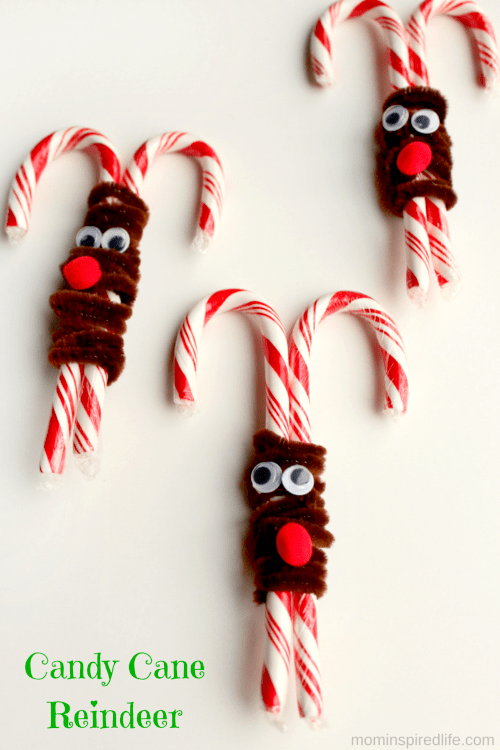 Your kids can make these fun candy cane reindeer for their friends or classmates this Christmas. 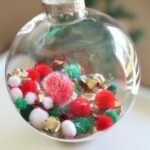 They make great gifts, party treats or stocking stuffers! 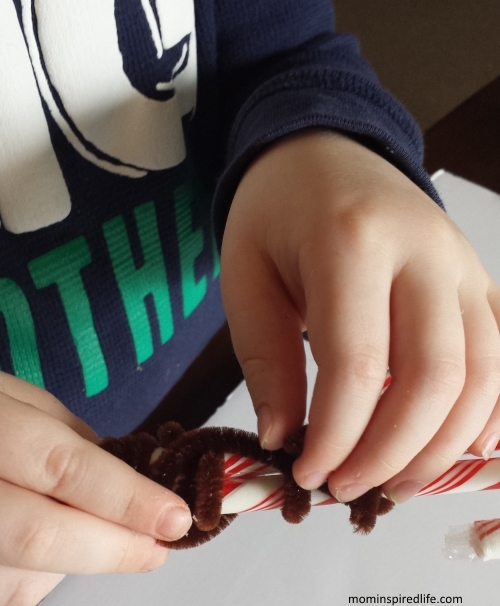 I love that Evan was able to get involved in the making of these candy cane reindeer. He was really excited that he could make a great gift for his friends. While making these reindeer he also got a lot of fine motor practice. 1. 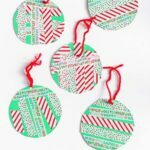 Place 2 candy canes side by side so that the curved parts are going in opposite directions. 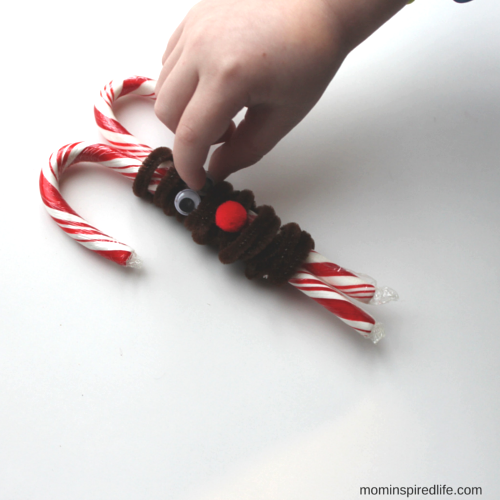 I then wrapped one brown pipe cleaner tightly around the center of the candy canes to hold them together. I did this because it kept them together while Evan wrapped additional pipe cleaners around them. It was too difficult for him to hold both candy canes in place and wrap the pipe cleaner around and around. 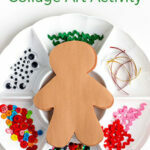 Give your child the pipe cleaners and let them wrap 1-2 more around the candy canes. They did not look perfect by any means. I did adjust them a bit before we put the eyes on or else it would have been difficult to get the eyes to stay. I will say, the more he did it, the better he got at wrapping the pipe cleaner around. 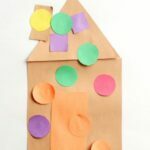 Many older children will be able to do this with no problems. After all of the candy canes were wrapped in pipe cleaners, we added the wiggly eyes. I put two small dots of glue and Evan added the eyes. Then I added a dot of glue for the nose and Evan added the red pom pom. 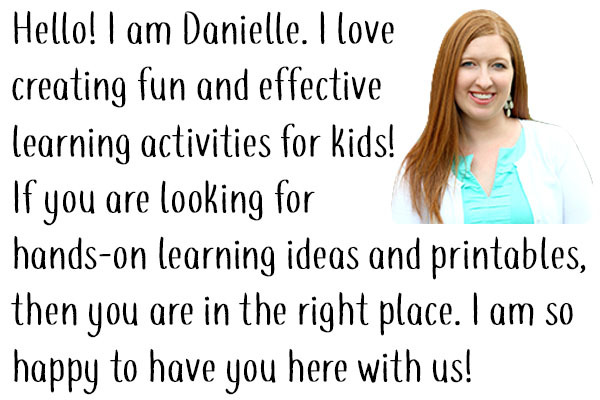 This was so much fun for us to do together. We are so happy to have neat gifts to give out to Evan’s friends! 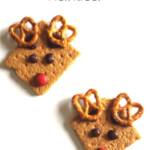 If you like this, you should check out the Graham Cracker Reindeer snack I made as well! 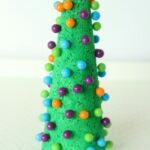 For more Christmas activities for kids, check out my Christmas for Kids Pinterest board!